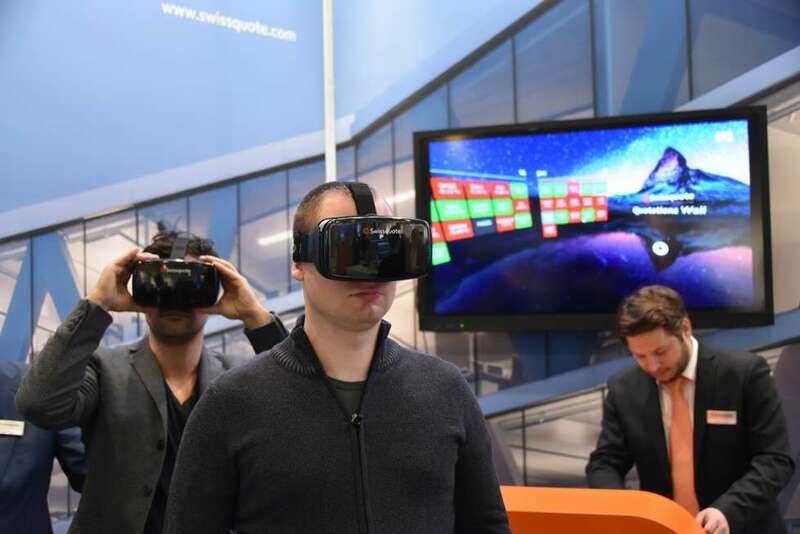 Swiss online bank Swissquote has developed a virtual reality (VR) trading application that enables users make trades with a glance. The VR headset creates a 360° trading wall for users to monitor the markets. The virtual dealing platform feeds real-time Swiss Market Index data, currency pairs and the main indices to users. Eye-tracking technology enables users to bring up more information about a specific stock and execute trades to a preconfigured value by focusing their eyes on the symbol. Clients can also view the status of their accounts through the VR headset. For instance, the Fast Trade tool, initially developed for the VR headset, will be built into the bank’s Apple Watch application. Back in 2008, Swissquote became the first bank in Switzerland to launch its own iPhone trading application, followed by an iPad version two years later. In 2010, it became the first taker of the Java version of Temenos’ core banking system, T24. Mastercard and Swarovski have teamed up to launch a virtual reality (VR) shopping app for the Atelier Swarovski home décor line. The app immerses consumers in a home where they can browse and purchase the pieces with Masterpass. Goldman Sachs trading error is "a warning to all"
Financial industry analysts have warned that investors should be careful about how they approach automated trading, following news that a trading error at Goldman Sachs lost the firm $100 million on Tuesday. I’ve been a technology nerd since before it was cool. In fact, when I went to college in the mid-1970s engineering students were treated more like George McFly than Mark Zuckerberg. It wasn’t the most glamorous major to talk about. Not much has changed today when I tell people I lead an advocacy organisation in support of high frequency trading (HFT), a technology that lowers trading costs for banks, asset managers and pretty much all investors. I find the work exciting, but I do run into my share of Biff Tannens.